Intersex Day of Solidarity, also known as Intersex Day of Remembrance, takes place on November 8. 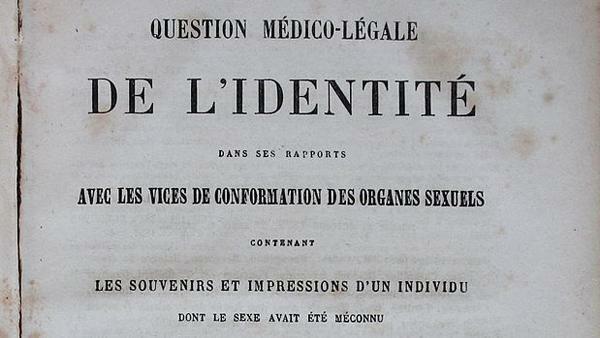 The Day marks the birthday of Herculine Barbin, a French intersex person whose memoirs were later published by the philosopher Michel Foucault, along with contemporary texts and a later fictionalized account. In Starry, Starry Night, the short life of Herculine Barbin, Leslie Jaye writes that what little we know of Herculine Barbin has all but obscured the person known variously as Herculine, Alexina and Abel, during her short life. The event appears to have first been held on 8 November 2005, as Intersex Solidarity Day. Joëlle-Circé Laramée, the then Canadian Spokeswoman for Organisation Intersex International, issued a call for all persons interested in intersex human rights to commemorate the day.